Leads supplied sterile. For single use only. Other lengths may be available upon request. Sterile packaged in inner and outer tray. is a latex-free radiopaque bipolar temporary pacing lead with balloon. 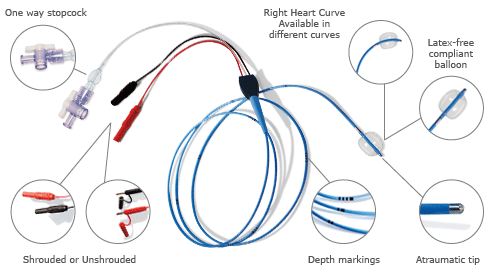 It is suitable for both recording intracardiac signals and temporary pacing.